The best retirement state is something that might be on your mind as you approach retirement age. If you are one of the millions of Americans reaching this age, and are contemplating how to handle that mighty step, the lack of a regular income, harsh weather, or changing economic conditions may dictate that you do so in state that is different from where you’re currently living. Knowing and understanding what makes certain states better for retirement than others is of paramount importance. When contemplating the retirement place of choice, the state income tax is the first thing that a lot of people look at. While you may feel that this is a good way to gauge how expensive or cheap a state will be to live in (and consequently the quality of life you can afford), in actuality, this is far too narrow a scope for anyone to really access how good or bad a particular retirement state may be for you. Things like fuel taxes, sales taxes, property taxes, retirement income taxes and (especially for senior citizens) deductions on dental or medical can all play a part in accessing how cheap a certain state may be. What are the Cheapest Retirement States? According to most standards, the Midwest and the south are the cheapest places to live and retire in the country. On the other hand, the West Coast, New England, Hawaii and Alaska are the most expensive. 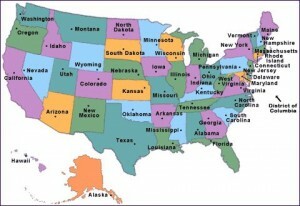 According to Moneyrates.com however, the list of the best states is entirely different, consisting of New Hampshire, Hawaii, South Dakota, North Dakota, Iowa, Virginia, Utah, Connecticut, Vermont and Idaho. Although one would think that these two lists would be similar, in actuality, the best state and cheapest state are two completely different things because oftentimes, in order to have a higher quality of life, you simply have to pay for it. So Really, What’s the Best State? Despite the fact that New Hampshire is not ranked among the top ten cheapest retirement states, it is considered the #1 retirement state for a myriad of other reasons. For starters, at 89% of the national average, its cost of living is still quite good. Both its winters and summers are fairly mild (with average temperatures ranging from 18.17 to 67.83 degrees), it’s ranked 48th in the country for both violent crime and property crimes, and at 78.3 years, the life expectancy is also quite high. While some may be turned off by the cooler summers most report that it is very pleasant provided that you make sure you have sensible clothes to suit it. Here’s the bottom line: While searching for your ideal state to retire, it may be a good idea to take cost into consideration, but it should certainly not be your only determining factor. According to overall quality of life measures, places like New Hampshire and Hawaii easily top the list despite the fact that they are not considered to be among the cheapest places. As we all have our own preferences, necessities and unique financial and personal situations, your best retirement state is, more than anything a personal choice. As such, it is best that you do your homework, so that any decision you make can be an informed one.